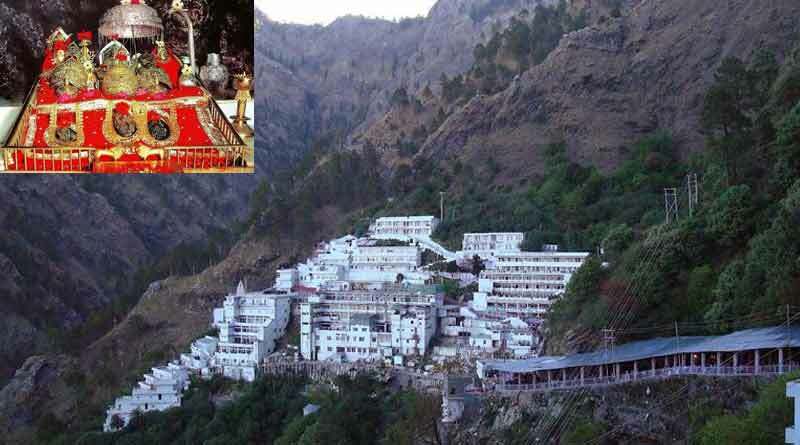 The nearest airport is at Jammu, also known as Satwari Airport, which is around 48 km from Katra. Shared taxis are easily available from Jammu to Katra for a nominal charge of 600 rupees. These range from a shared winger to a shared Innova which is available at 150 per person. You can take a helicopter from Katra to SanjhiChhat helipad, which is around 2 Kms from Bhavan. 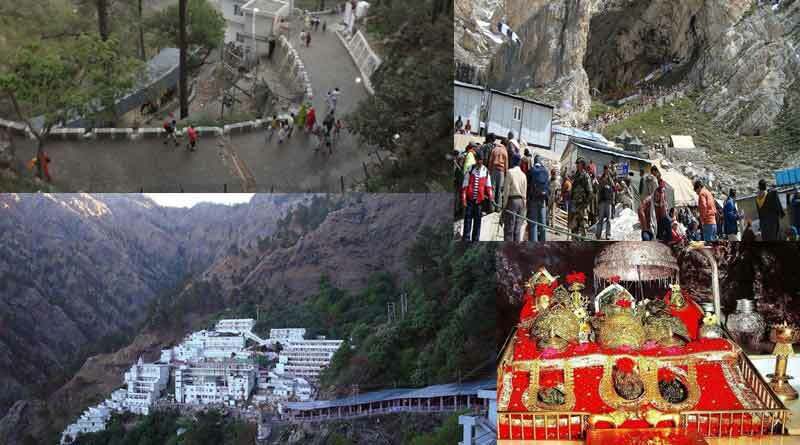 Booking for this can be done only from the official website of Vaishno Devi. Do remember that the advance booking can be done for a maximum of 30 days and a minimum of 4 days in advance. If you are from the family of army personnel, special army passes are available from the Army Counter near Banganga. Yatra registration slip is a must have. This can be obtained from the Yatra Registration counter at Katra. 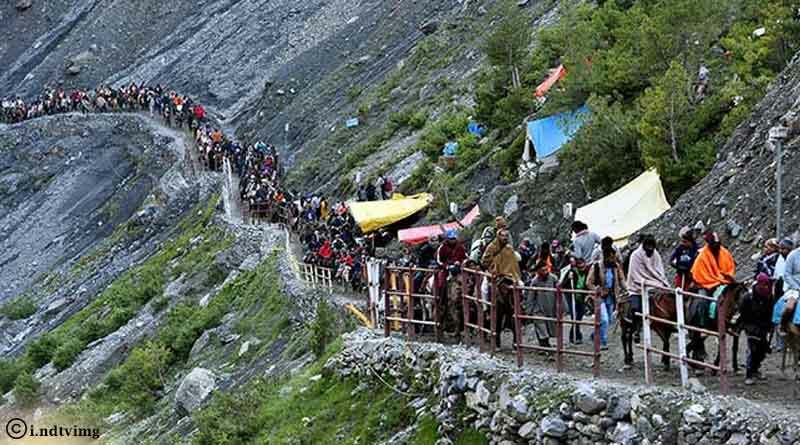 Clear the Bangangacheckpost within 6 hours of taking the Yatra slip. The entire trek is paved and lined with snacks and food items vendors and restaurants. Ponies and palanquins are available to take people to the top of the hill and directly to the caves.Horseback 1 way charges 600 to 800 rupees.Palki charges approx. 3000 – 4000 rupees. You can even hire a pony for half the trek. Battery operated autos are available during the day for half of the trek route. Do check beforehand as senior citizens and people with small children are given preference. Pithus can be hired to carry small luggage or small children. Belt, pens, wallet, mobiles, keys, watches, shoes are not allowed inside the temple and there are dedicated lockers to put your valuables inside. It is safe to walk the trek even at night as the way is well lit. There are many hotels to stay in Katra; from budget to luxury. 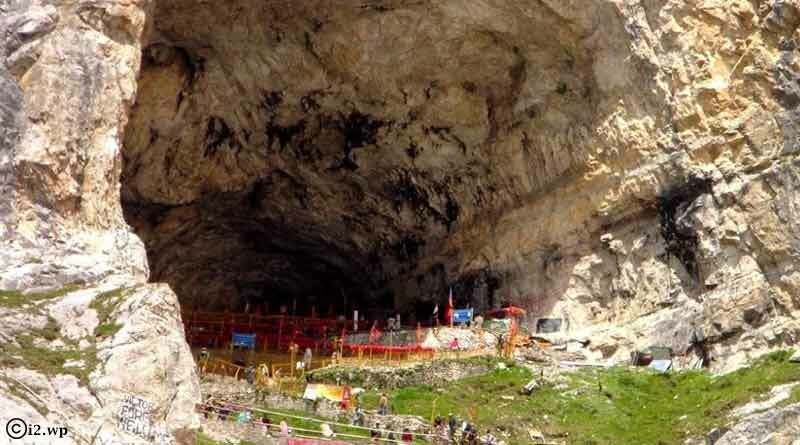 The shrine is very crowded during Navratras, Summer holidays – May & June and New Year’s Eve, so plan accordingly. ← Female Employees: What to Answer “Would it be a problem if you have to work overtime/weekends? Why do we celebrate Bhai Dooj? What is the story of Matsya avatar?